From cooking classes to bike tours, here are some awesome adventures for the family! TripAdvisor recently revealed the best family vacation experiences with their first-ever Travelers' Choice Awards. The booking site compared millions of customer reviews to find fan-favorite hotels, beaches, landmarks and more. Here are the top eight reviewer-chosen experiences in the world. This cooking class is a great way to experience Italian cuisine in a rustic, intimate setting with true Italian chefs. The class is held in the Tuscan countryside, providing spectacular views and fresh ingredients for a bowl of handmade pasta. "We learned so much about the food in Florence and making delicious Italian food. Everyone had a great time and we really enjoyed meeting people to share the experience with. The view while making pasta and then eating our meal was unbelievable! Great experience that I would love to repeat," said one TripAdvisor reviewer. Perfect for the active family, a bike tour is a fun, social way to experience Berlin and see sights with a knowledgeable guide. Learn Berlin's rich history in a vibrant tour for the whole family, including lunch, Alexanderplatz and the Berlin Wall. "It's great for kids, easy on the legs and an absolute must if you're visiting — we will return to Berlin as a result of this tour. Thoroughly recommended and excellent value for money," said a TripAdvisor reviewer. Amanda Voisard / Viator, Inc. This tour gives families the opportunity to capture the big apple in one day. It take travelers on a bus to see Federal Hall, the South Street Seaport, the 9/11 Memorial and Wall Street. Then travelers climb aboard a luxury ship for a harbor cruise featuring Ellis Island, Lady Liberty and the Brooklyn Bridge. Then, head back to the bus for a quick tour of Lincoln Center and Central Park. It's a whirlwind of a day accompanied by tips from guides and some of the best that New York has to offer. “It was an intimate tour and very well-organized. You’ll feel like a friend is showing you around, with all of the juicy insider info,” noted a reviewer. Climb the Sydney Harbor Bridge at dawn, dusk or night for some of the most spectacular views of Sydney. The climb is a perfect activity for the whole family, and you can even tailor your tour to include karaoke. Small groups can also receive special attention throughout the climb to ensure an exhilarating and unforgettable experience. "This is one of the most amazing experiences and an absolute must-do for anyone in Sydney - tourists or locals. I highly recommend the twilight climb because you get the best of the day and night," said one TripAdvisor reviewer. Enjoy an Italian-American breakfast buffet in the Pine Cone Courtyard and exclusive early access to the museum. Guests will enter the Sistine Chapel, see Michelangelo's "The Last Judgement" and view St. Peter's Basilica in an exclusive tour. 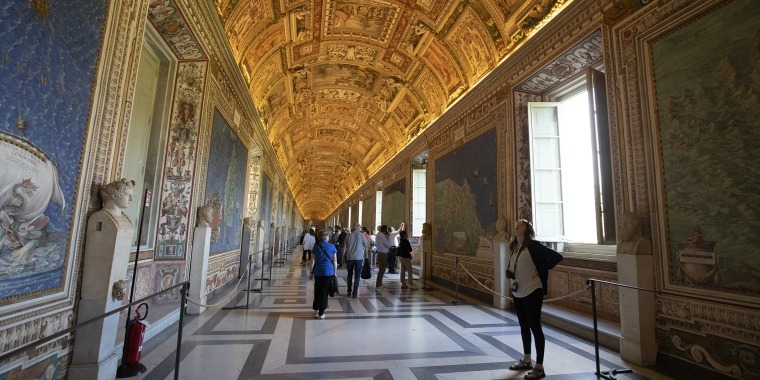 "With early morning access into the Vatican this tour is worth every penny. Our guide was informative and educational about any aspect the small group asked about," said one reviewer. This class, lead by a lively local chef, teaches vacationers the fundamentals of Creole cooking accompanied by a local beer or a sweet iced tea. The class is taught in a converted 19th-century molasses warehouse and will give participants a good-old-fashioned Louisiana dining experience. “We cooked gumbo, barbecue shrimp and grits, and it all came out phenomenal. Would definitely love to go back again, highly recommend it to anyone who enjoys cooking and looking for a fun time in New Orleans,” said one TripAdvisor reviewer. This dinner theater experience is an excellent introduction into the Maori culture — the indigenous people of New Zealand. Guests receive a Hangi dinner and traditional Maori performance at the Tamaki Maori Village. Travelers are escorted by a local guide through an immersive cultural experience. "The brief cultural exposure was fascinating, the performance beautiful and the dinner delicious. The performers are welcoming and enthusiastic," said one reviewer. Niagara Falls is one of the world's greatest natural wonders, and this tour provides the best views with easy hotel pick-up and drop-off. On the boat, you'll see Horseshoe Falls, Bridal Veil Falls, American Falls and more. They also provide seasonal cruises for the adventurous traveler. "If you're going to Niagara definitely book this. Everything is taken care of and advice is given about each stop. I would suggest this to anyone that may be going to the area," said one reviewer.